Congress lawmaker Ameen Khan Monday turned emotional while recounting his attachments to cows during the debate on the governor’s address to the Rajasthan Assembly. While speaking in the House after the governor’s address, Mr Khan accused the previous BJP government in the state of doing politics in the name of cow welfare and protection and dividing the society. During the debate, Mr Khan referred to his family’s business of dairy farming and his attachment with bovines. He turned emotional while recalling a particular cow, which, he said, had died now. “I had special attachment with the cow that used to sit beside me and used to lick my face. She has died and whenever I remember her face, I get emotional. Tears rolled down my eyes when I was telling this to the members of the house during debate,” Mr Khan told PTI outside the House. 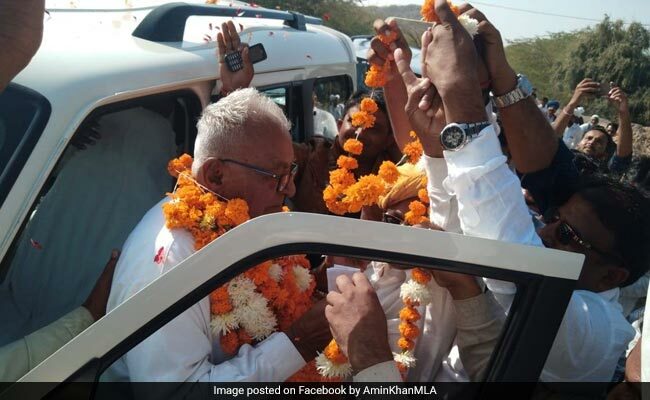 A five-time MLA Mr Khan, who represents Sheo assembly constituency of Barmer district, said his family has been engaged in dairy farming and have always cared for cows.